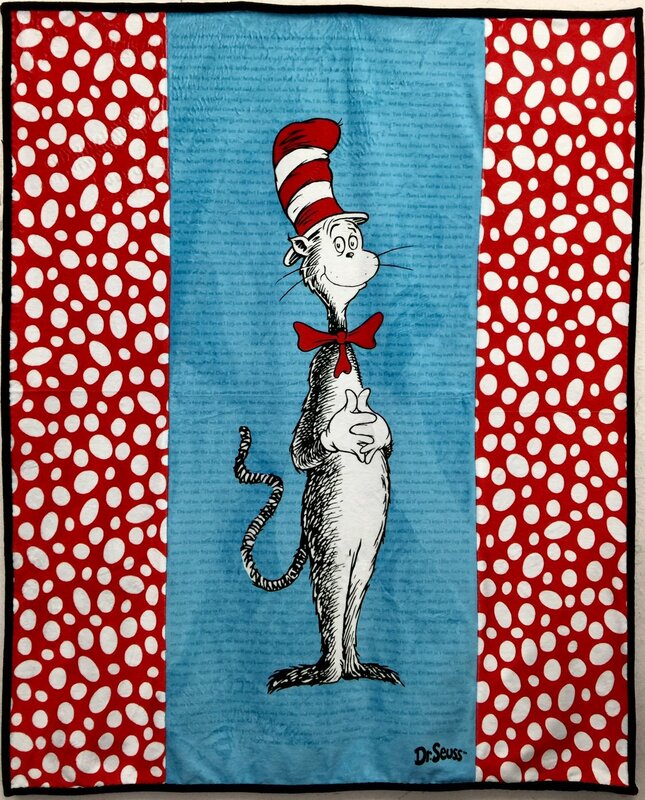 The Cat in the Hat Cuddle Quilt features the oh, so soft Cuddle Cloth fabric from Shannon Fabrics. It measures approx. The kit includes fabrics for the top, back and binding plus the instructions.